Bork bork bork! The Muppets are bork, with the first ever action figure gift set in the Muppets line from DST! 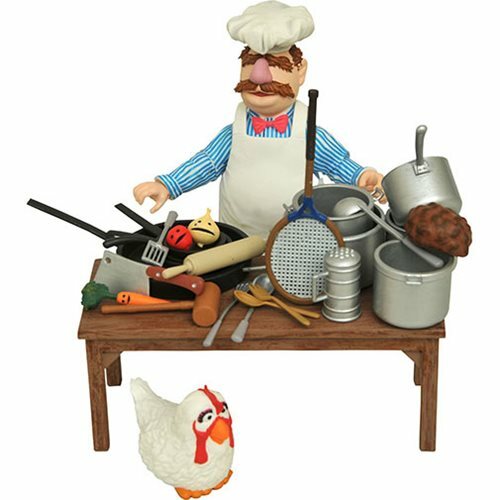 The Swedish Chef does the honors, with a massive number of accessories, including a table, pans, pots, food (talking and non-talking) and even a chicken, to make Chicken in the Basket. Packaged in a full-color window box, this figure is in scale to all Select action figures.